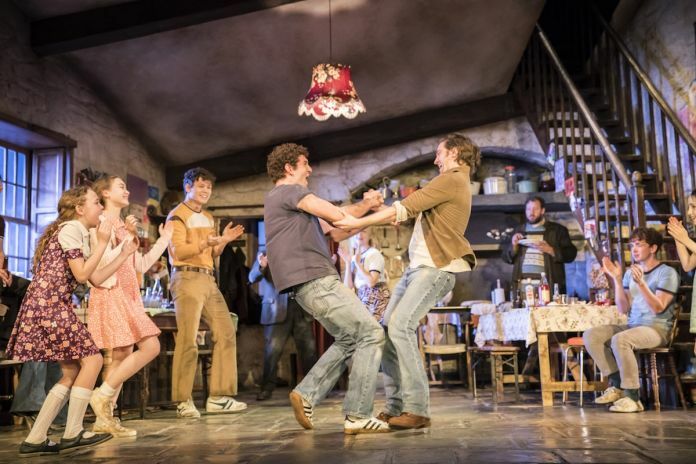 Jez Butterworth’s “The Ferryman” has announced principal casting for its Broadway run, bringing over many of its same cast members from London. The show, which is a transfer from the West End, will star Paddy Considine in his stage debut as Quinn Carney, Laura Donnelly as Caitlin Carney and Genevieve O’Reilly as Mary Carney, both of whom played the roles in London. The play, produced by Sonia Friedman Productions and Neal Street Productions, will feature a more than 30-person cast. Other cast members include Dean Ashton, Glynis Bell, Gina Costigan, Charles Dale, Justin Edwards, Fra Fee,Fionnula Flanagan, Tom Glynn-Carney, Stuart Graham, Mark Lambert, Carla Langley, Conor MacNeill, Colin McPhillamy, Rob Malone,Dearbhla Molloy, Glenn Speers and Niall Wright. More cast members will be announced at a later date. The play begins previews on Oct 2, 2018 at the Bernard B. Jacobs Theatre, with an opening night on Oct. 21. Rob Howell is the set designer, Peter Mumford is the lighting designer, with sound and original music by Nick Powell.